Just a few steps away from the famous Grand Place and many other historical monuments, the hotel is centrally located, enabling you to discover the charming streets of Brussels. Hotel Mirabeau is ideally centrally located, so you can easily explore the city’s historic streets that are full of restaurants and boutiques. The hotel is situated just opposite a tram and metro station that is directly linked to a Midi station and to the European Headquarters and Brussels Exhibition Centre. Whether your stay is for leisure or business purposes, the hotel’s 24 hour reception staff are present to make your stay as comfortable as possible. Breakfast not included - 5.00 EUR per person per day. The room looks exactly the photos shown. However, the door knob and the mirror of our room are broken. The TV was not working as well. Overall, it a hotel with great value of money. 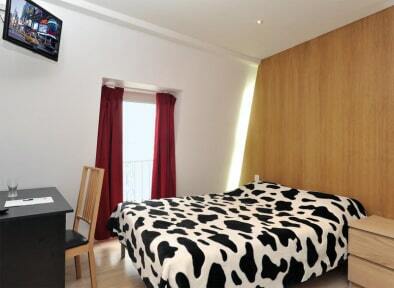 The hotel is near the Grand Place (within 10 mins walk) and near to supermarket. Friendly staff. Was good! but the bathroom was bad. The Hotel was fine and the staff were very nice. However, the bathroom was very small and the sink didn't drain the water properly. The heat only turns on after 8pm and it was cold in the room during the day. Once the heat was on, the temperature didn't stay consistent so I was constantly hot or cold. There was also a sewage smell in my room. We got room n°22: nice room. In the morning when i wanted to take a shower, i noticed that the water of the shower above us was coming down on the wall. And a little later there was even water dripping from the hole in the ceiling. I did not like to shower with the dirty water of the people above me. When we told this tot he man at the reception, he pretended not to know anything about this. Allthough when you look at the ceiling you can see the problem with the water excist allready longtime. Room smelled like smoke so we opened the windows to air it out and the heater didn't work. We had to choose between being warm and overwhelmed with the smoke smell, or freezing and having fresh air. The lift was small and got stuck once. The blankets on the bed had holes from cigarettes. Upon arrival we already found the man helping us to behave strange and in a way that we didn't feel welcome at all. He was pretending to be polite but the underlying tone was degrading. Weird stains on the big blanket. Matrass completely flat in the middle and high on the sides which causes you to lay in an angle and roll towards the middle. We find it strange that we are obliged to leave our room key behind and also the way this was communicated is in a way a dog would be talked to. But cheap.